Pelosi added that Democratic candidates distancing themselves from her is not a deciding factor in congressional races. 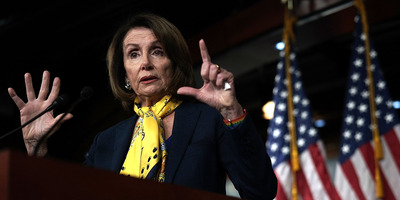 WASHINGTON – House Minority Leader Nancy Pelosi shrugged off the Democratic candidates attempting to distance themselves from association with her, suggesting her leadership is a minimal factor in the grand scheme of congressional races across the country. Pelosi told reporters on Thursday that Conor Lamb, the Democratic candidate who pulled off a surprise win in Pennsylvania’s special congressional election on Tuesday, won because of his ardent backing of Medicare and other localised issues. Pelosi said the attacks against her are an effort to demonize her “as the leader of the Democratic Party” and that whoever is in her position faces such attacks. Pelosi also noted that a candidate who was against her in a Texas Democratic primary came in fourth place, which she cited as evidence that associations to her are not the deciding factor in congressional campaigns. “I have a strong following in the country and I don’t think the Koch brothers should decide who the leader of the Democratic Party is in the House,” Pelosi said. But a handful of Democrats want to be able to dissociate from Pelosi, raising the chances of ushering new leadership in the next Congress.